Berlin, Germany: Karl Marx's work "can be explained in five minutes, five hours, in five years or in a half century," wrote French political thinker Raymond Aron. 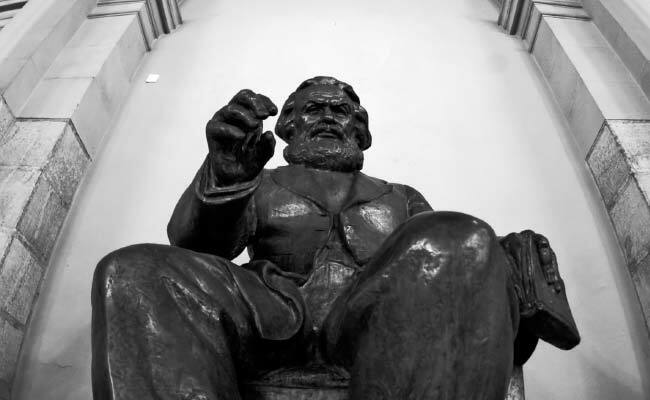 "The history of all hitherto existing society is the history of class struggle," says the Communist Manifesto, co-written with Friedrich Engels and published in 1848. This idea -- coined by early socialist revolutionary Joseph Weydemeyer and adopted by Marx and Engels -- refers to the goal of the working class gaining control of political power. Marx and Engels wrote the "Manifesto of the Communist Party" in 1848, at a time of revolutionary turmoil in Europe. "Workers of the world unite!" is the famous rallying cry that concludes the Manifesto and seeks to create a political structure that transcends national borders. Marx believed that religion, like a drug, helps the exploited to suppress their immediate pain and misery with pleasant illusions, to the benefit of their oppressors.